Anong DAPat Mong Malaman: NewGenRocks! Program on the DAP Controversy - PUBLiCUS Asia, Inc.
Amid the issue of the President’s Disbursement Acceleration Program, NewGenRocks! has partnered with some universities and colleges in the country to conduct a series of Student Forums and discuss the pressing issue on DAP. This series of forums hope to increase youth involvement in political issues. In October, NewGenRocks started the first leg in Northern Philippines with the University of the Philippines – Baguio (UPB) and St. Louis University) SLU). At the DAP Student Forum in SLU, RJ Barrete, NewGenRocks! Lead Convenor introduced the organization’s objectives and how it sees youth participation and engagement as vital components in nation-building. Meanwhile, Ms. Malou Tiquia, Founder/General Manager of PUBLiCUS Asia Inc. discussed the key concepts of public finance, the principle of trust in public office and further stressed the constitutional budget process in Congress. She also pointed out that when trust is gone, it would be hard to govern and manage; and when trust is eroded, every act is suspect. 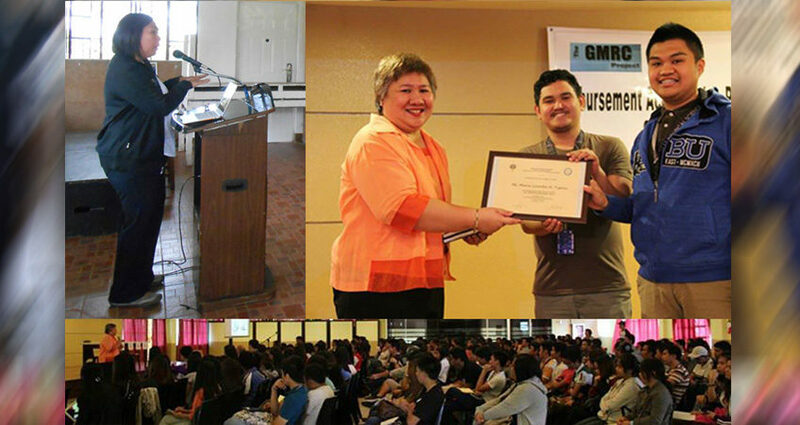 At the University of the Philippines – Baguio, Ms. Lilibet Amatong, NewGenRocks! Adviser discussed how the current administration should practice transparency and accountability in all its transactions. NewGenRocks! has been always committed in engaging the youth and value their contributions and potentials.